The Village on Telegraph at Blake is magic. 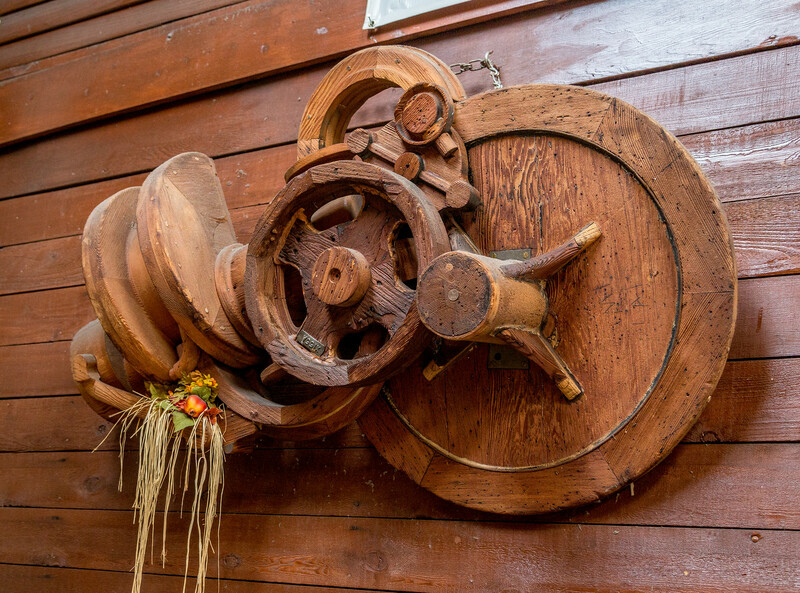 Throw in its history and the stories and faces of its businesses – even more magic. 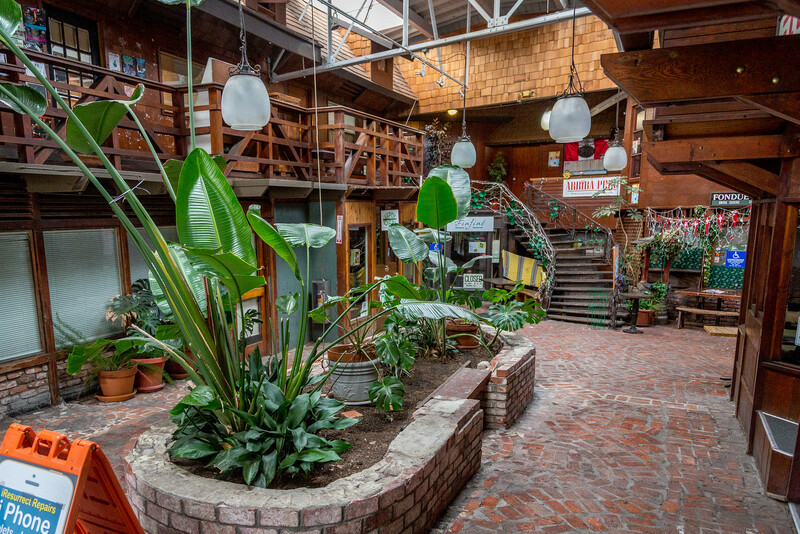 The Village is an indoor mall in what began life in 1945 as Harry Doten’s auto dealership at 2556 Telegraph. Doten owned and ran University Motors at C.J.’s Old Garage one building south, at 2566 Telegraph. He ran Doten Pontiac out of 2556 Telegraph and passed it on to his son, who took in Ed Cunha as a partner. 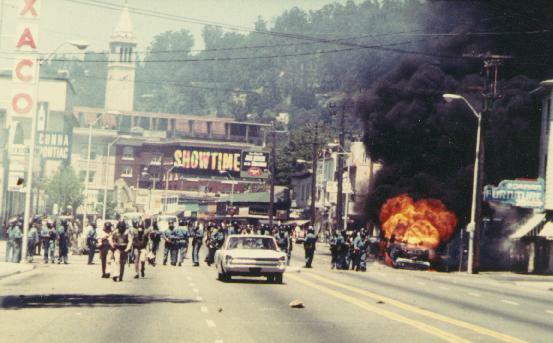 The Cunha Pontiac sign can be seen on the left of this photo of Bloody Thursday during the Peoples’ Park struggle in May 1969. History! 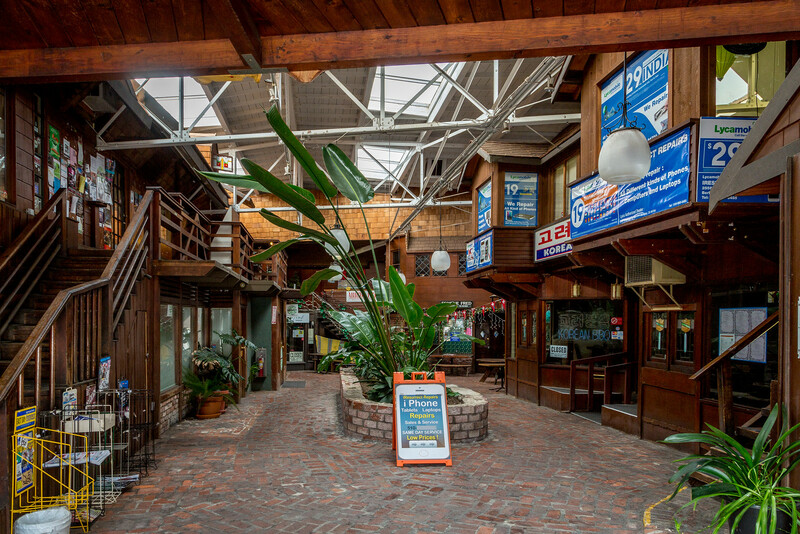 In 1971, Larry Broding filed an application with the City to convert the building into two levels with a total of 21 small commercial spaces around a large common. Hal Gilbert was the architect. What he proposed is today known as adaptive reuse, the process of reusing an old site or building for a purpose other than which it was built or designed for. 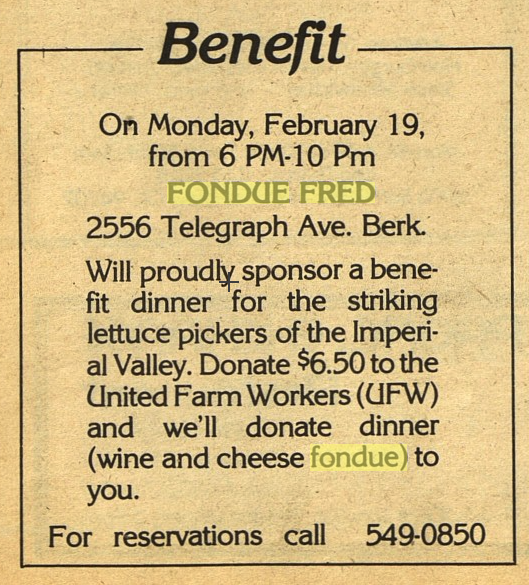 I perked up with this one – I was in the Imperial Valley working on the lettuce strike mentioned in the announcement. Striker Rufino Contreras had just been murdered by grower agents. 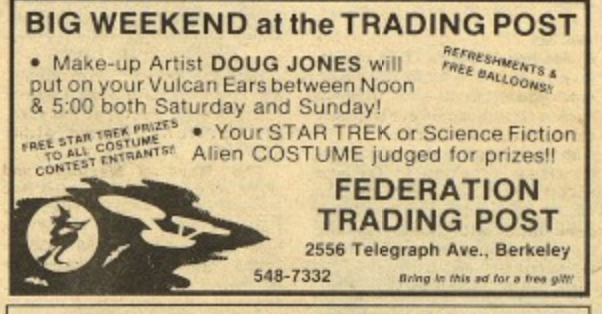 The Federation Trading Post was an early Star Trek-themed store. It later branched out to East 53rd Street in New York. Among the first generation of tenants was the campaign office of Ron Dellums, running for his second term in Congress. Run Ron, run! In 1973 or 1974, BAHA’s Anthony Bruce visited the Village. Photo courtesy of Anthony Bruce. 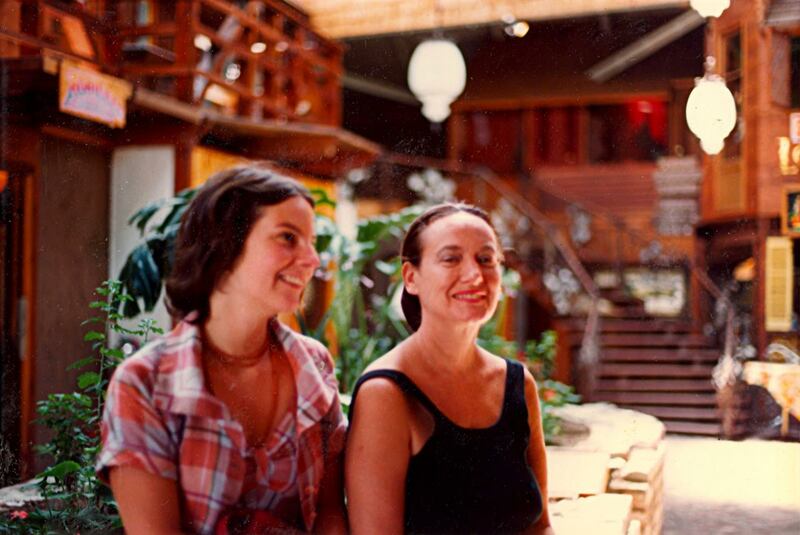 He took this photo of his sister Lisa and Faye Joyce. Happy faces, happy place/space. If you are unsure as to its name, three signs tell you it is The Village. 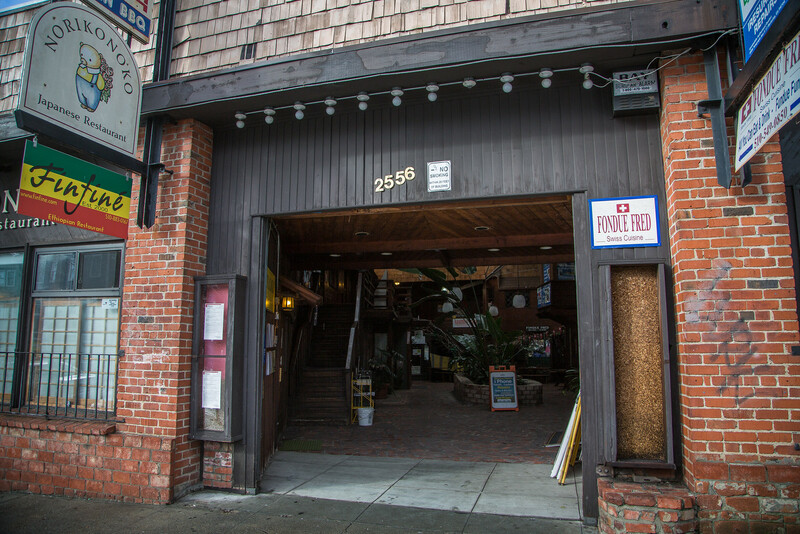 There is a broad open entrance on Telegraph with a retractable garage door. There is a smaller door on the Blake Street side of the building And – this three-arched brick arcade entrance at the northeast corner of the building. Eid likes his signs, doesn’t he? I bought my first VCR from Eid when he had his store on Martin Luther King Jr. Way at about Virginia. All about me! Inside the entrance is an L-shaped courtyard with more-or-less random bricks on the floor. The courtyard was called “the commons” in the plans. If I could change anything, it would be to scale back just a tad on the signage. 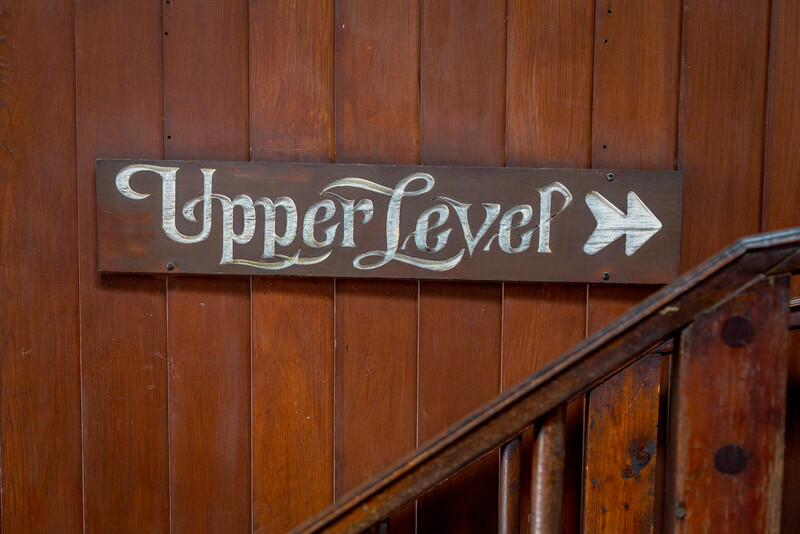 Several flights of stairs lead to the upper level. 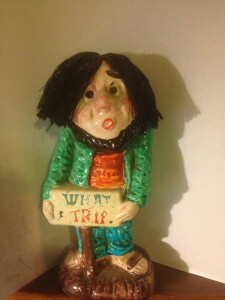 There is kitsch, a touch of it – it adds value in my book. The Village in daytime is quaint and charming. At night – magical. Everything that looks good in the day looks great at night, sparkling with the twinkle of the strung lights. 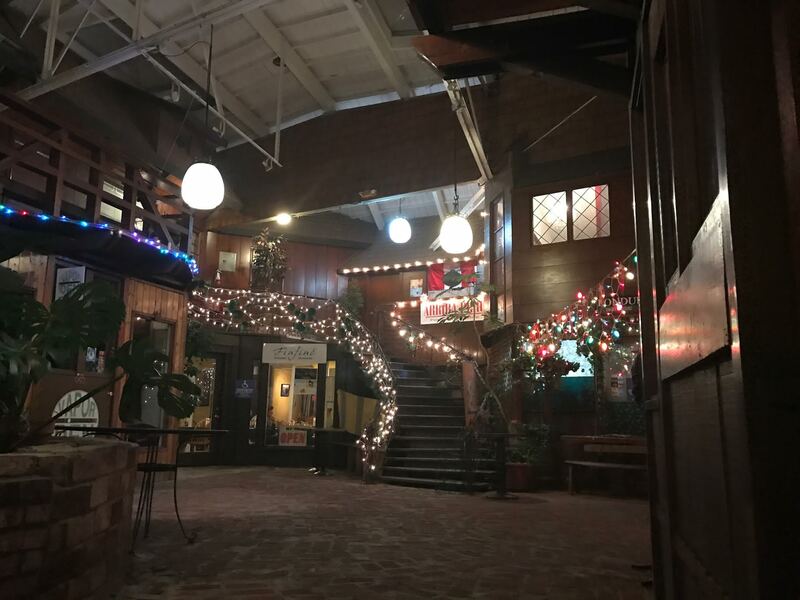 It is a different feel, dark and dark wood but colored lights and strings of white lights up the railing, brick walls soaring, shingles, the white (wrong!) ceiling and rafters. 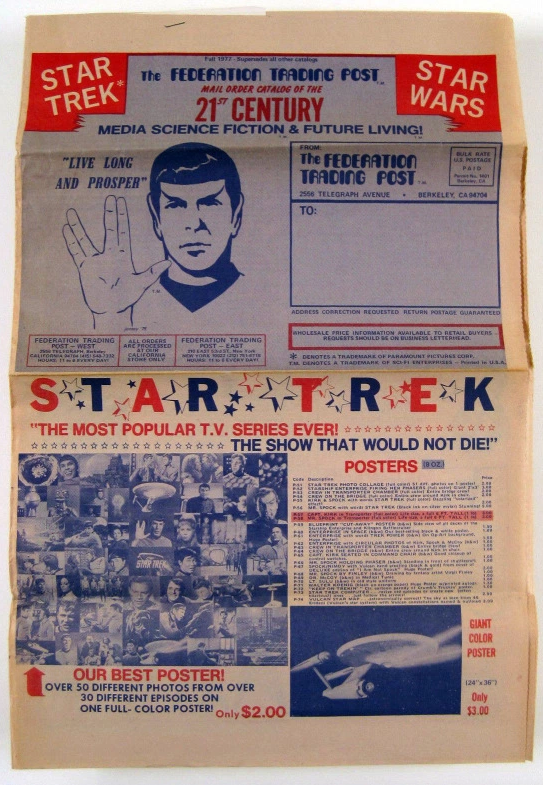 It is 1972 again. It is tonight. The original 21 spaces have been consolidated. I count five restaurants and several other businesses. Each one has a story. Here are the stories of a few of the humans of the Village. Norikononko is a restaurant serving Japanese food. Noriko and Takumi Taniguchi run it. Noriko was born in Manchuria. She came to the United States when she was 14. 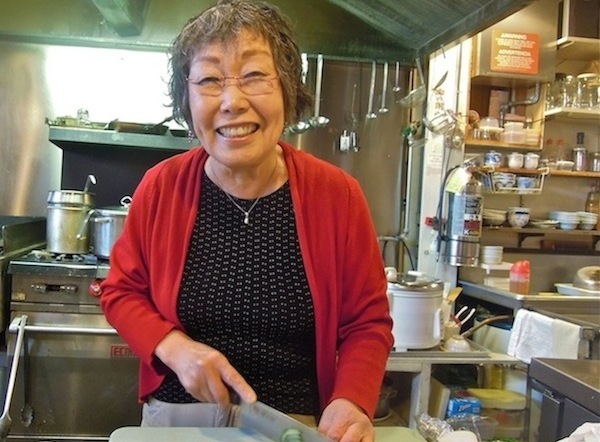 In 1993, Noriko was eligible for early retirement from her job at UC. 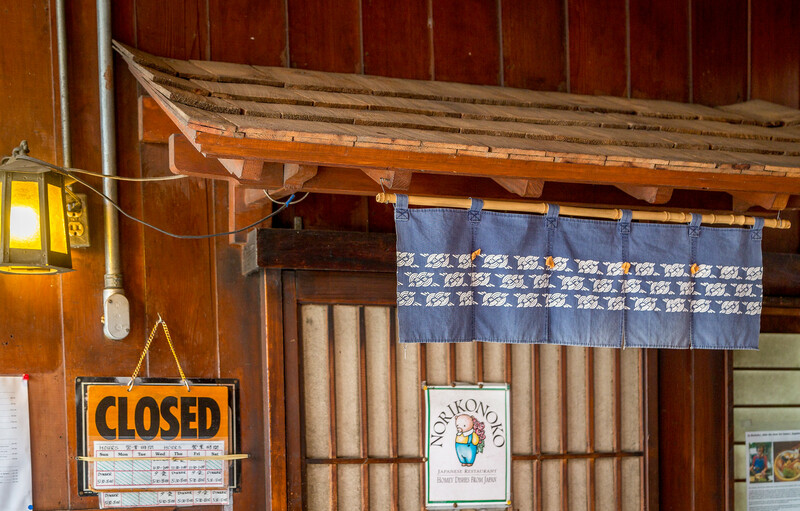 She decided to pursue her dream and bought the restaurant to run with her husband Takumi, whom she met while still living in Tokyo. They opened on April 29 1994, the Japanese holiday (Showa Day) to celebrate the Emperor’s birthday. Now, almost 23 years later, they still live their dream. He grills, she prepares the side dishes. It is a great restaurant but that’s not the point here. The point is – it is her dream. 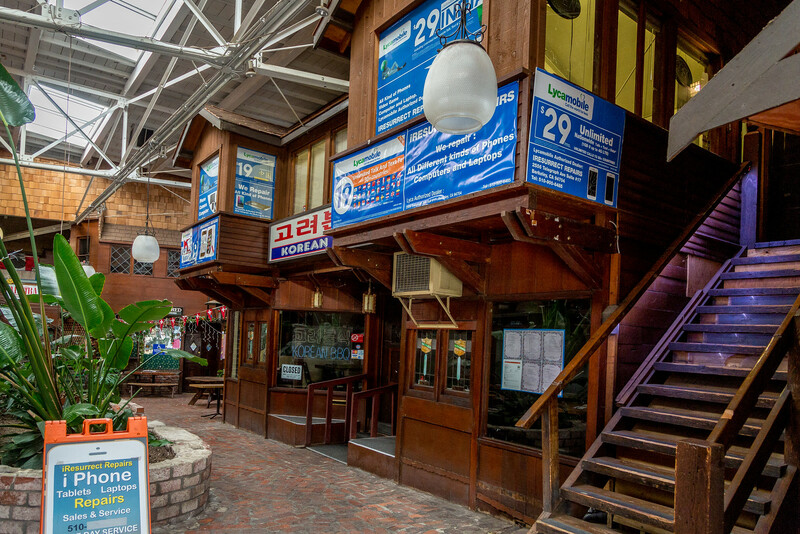 The Finfine Etiopian restaurant is tucked in the southwest corner of the first floor. Roman Zewde opened it in 2001. She had worked in catering at the International House and for 12 years dreamed of opening a restaurant as popular as her mother’s restaurant in Adis Ababa, Ethiopia. She says that she named the restaurant after the source of the purest spring water in Addis Ababa. Her restaurant is her dream. 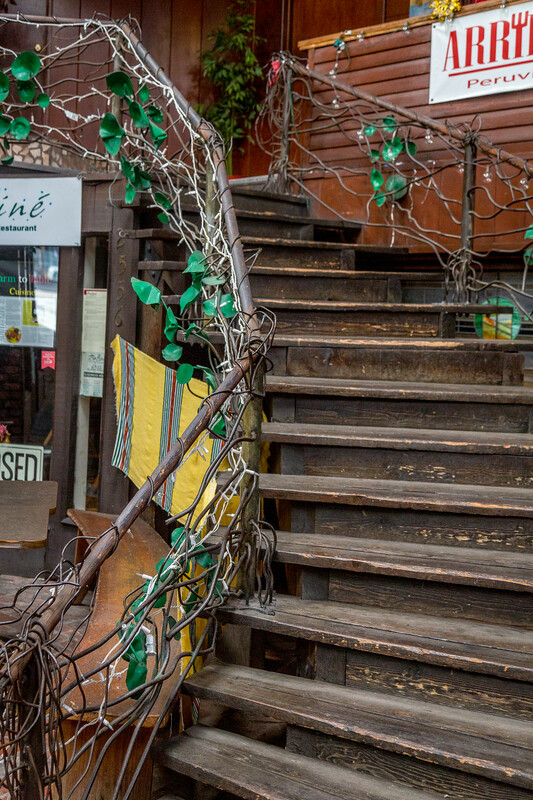 Roxanna Haas owns Arriba Peru on the second story. She came to the United States from Lima in 2004. She worked at the Peruvian consulate in San Francisco, dreaming of opening a Peruvian restaurant. Her dream came true on June 29, 2012. If she is forced to leave the Village, her dream will come to an end. She cannot afford the higher rents prevalent in Berkeley. 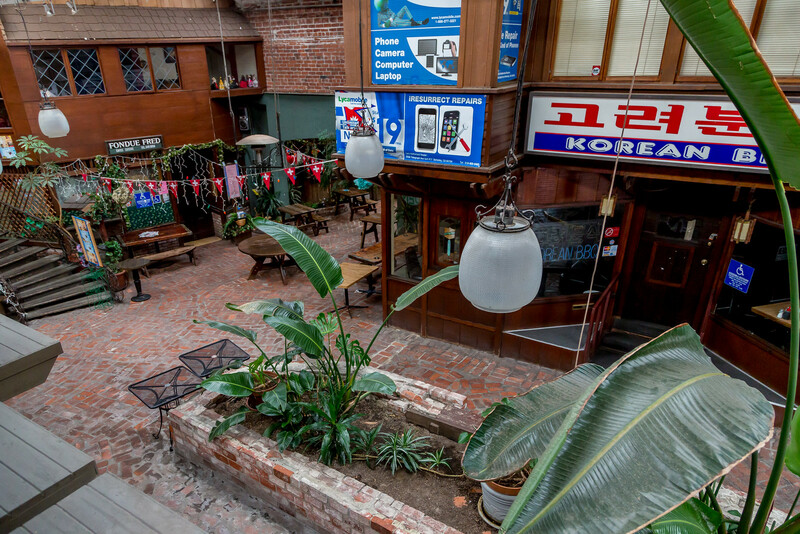 Aashish Shrestha owns iRessurection on the second floor, just to the right of the Telegraph Avenue entrance into the Village. He was born in Nepal and attended the Gamati Boarding Higher Secondary School in Katmandu. He moved to the United States in 2008, living in Oklahoma, Texas, and Louisiana before arriving in Berkeley and opening his business in 2014. He repairs phones, laptops, and tablets. He considers himself a counterforce to the disposable economy. 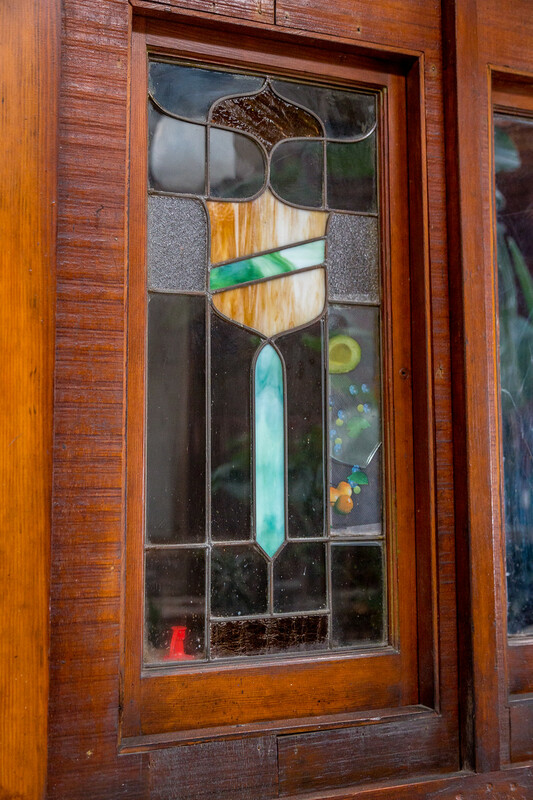 He is aware of the high vacancy rate in Berkeley storefronts; he is also aware of the high rents being asked for the storefronts and the seemingly absence of any true supply and demand effect. Jacques Lacey is one of the owners of the Vapor Den on the first floor. 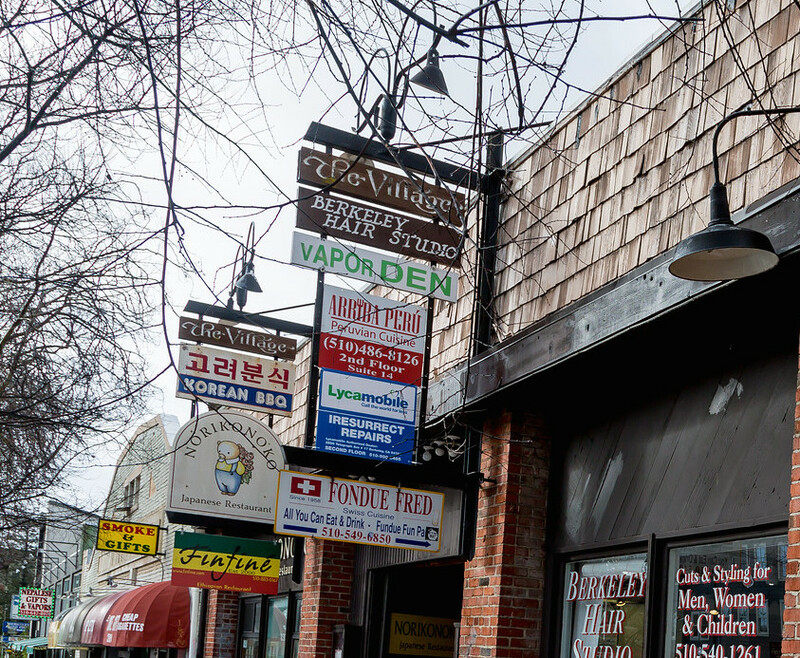 When it opened on June 8, 2011, it was the first vape store in the United States. Vaping is the use of a handheld electronic device that vaporizes a flavored liquid. Lacey wouldn’t have his store anywhere else. He revels in the company of other Village tenants, especially the restaurants. 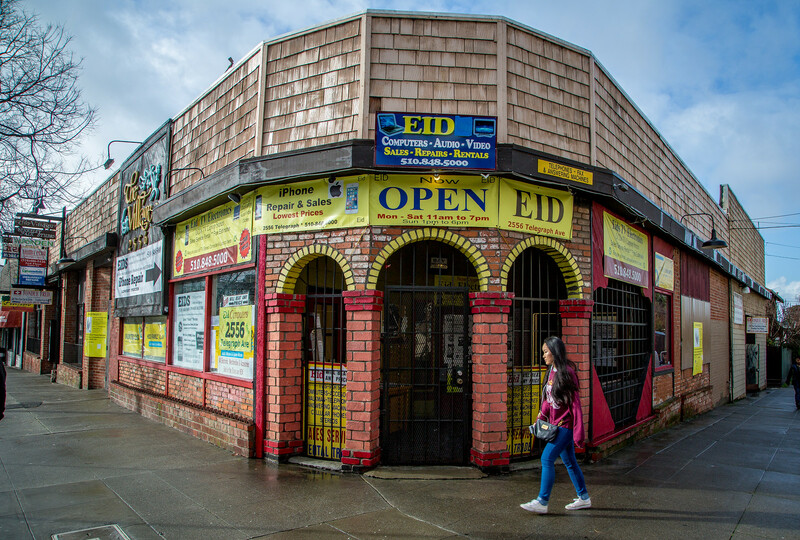 And there are Mohamed Abdallah Eid, the Egyptian who runs Eid’s TV, Yang Park and his wife who for 24 years have run Koryo Korean BBQ, and Janney Phang the Vietnamese owner of Berkeley Hair Studio. They all are living their dream of a small business, a dream that could not survive outside the Village. You can see – the humans of the Village add to its draw. But – wait – there is trouble in paradise. 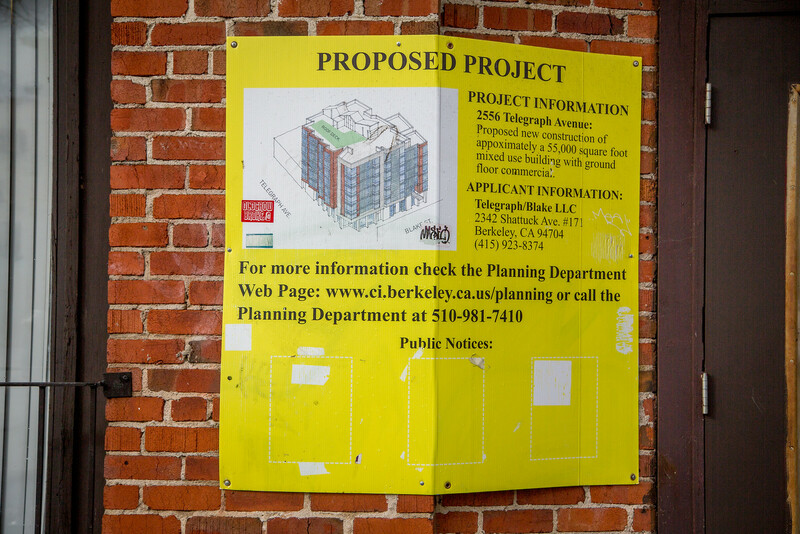 Plans are in the works to demolish The Village and build a 76-unit 7-story mixed-use building without parking, although each unit will have a dedicated bicycle storage space. Not my cup of tea, rooftop garden with great views of the Bay or not. But that’s not the point. 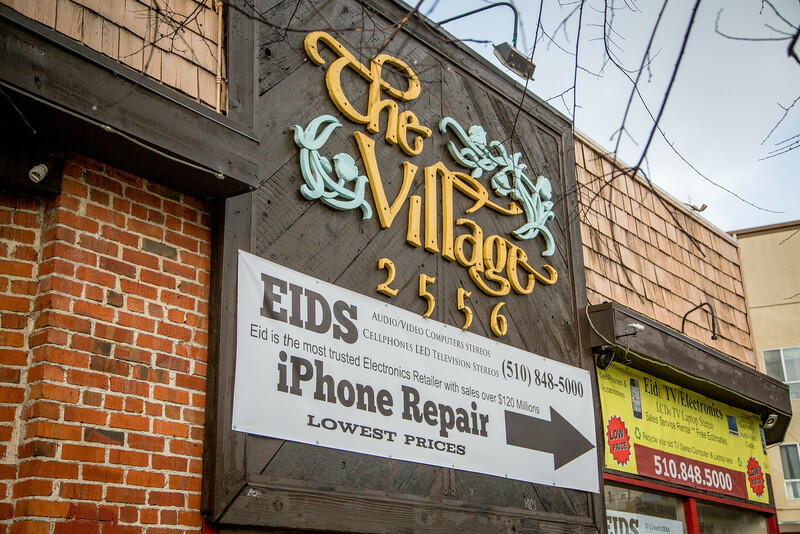 The prior City Council upheld the denial of landmark status for the Village despite efforts by neighbors to landmark it. 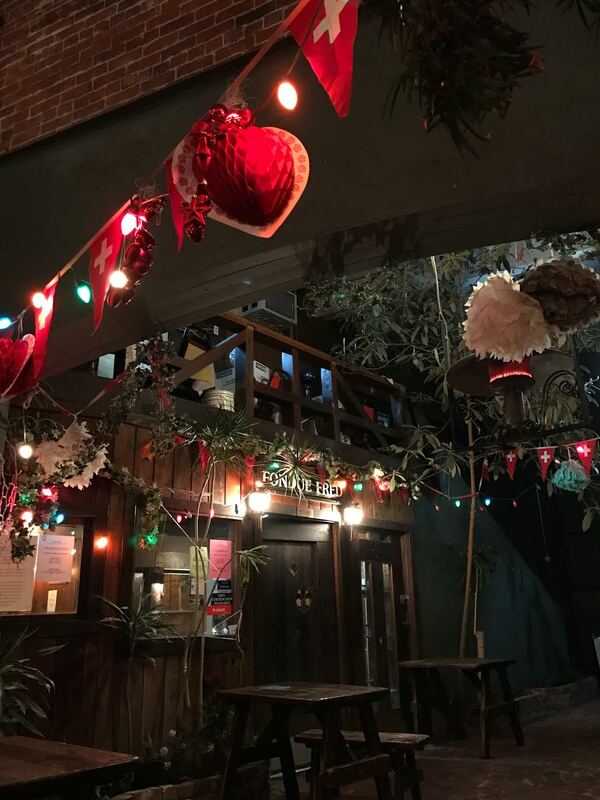 I don’t know what the new City Council can or will do, but as a hopeless romantic, I wish that there were some way that this reminder of the past which so strongly conveys “Berkeley’s local color and personality” and “the vital character of Telegraph Avenue” could dodge the wrecking ball. How about another shot at adaptive reuse, how about not destroying that which makes us different and special and Berkeley? If we aren’t careful, we’ll just be paving paradise. 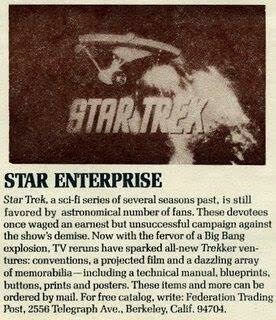 How about, just maybe, going back to the 21-space configuration and leasing to artists? Why not an angel investor or even the City jumping in and buying the building, making it home for start-ups, an incubator for new and good ideas? Goodness knows working space has gotten harder to find after the post-Ghost Ship crackdown on art workshops. The commons is perfect for music. Why not go back to the “local color and personality” vision and embrace art? 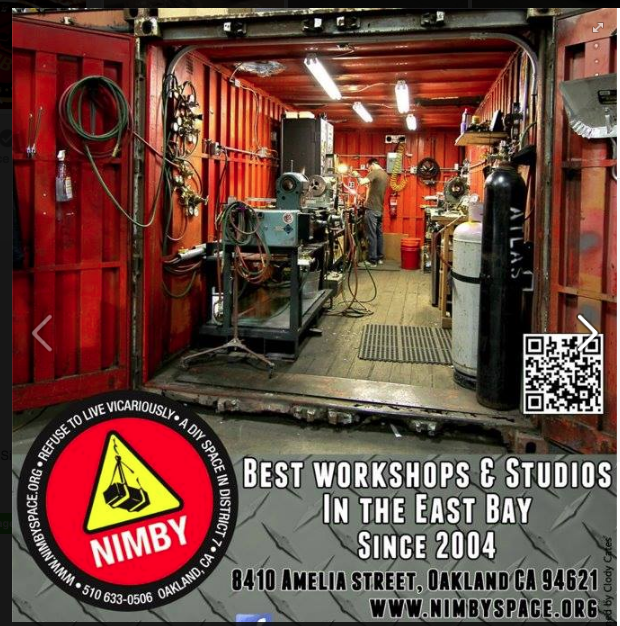 Take at look at NIMBY in Oakland – see what Michael Snook has done in the name of art and refusing to live vicariously. It can be done! 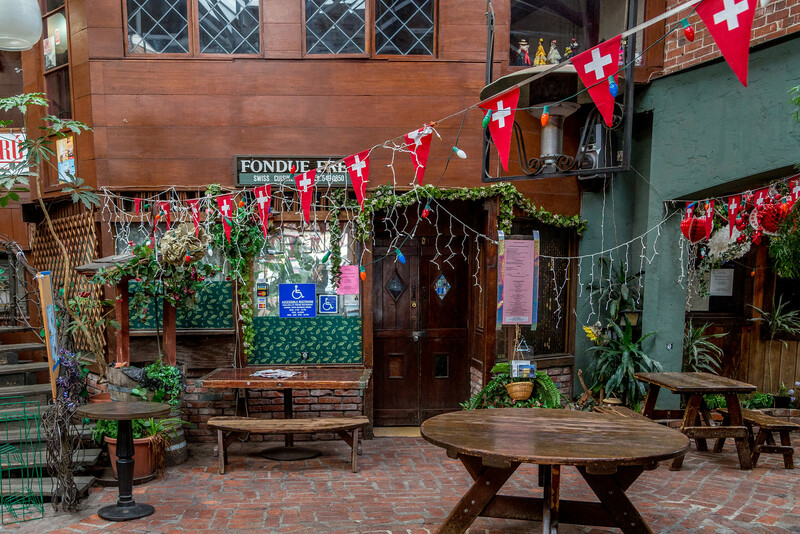 Or – let’s look just a few miles south to Temescal Alley – why can’t the Village learn a lesson from Oakland? It would even be possible to knock doors into the western wall of the Village and open out into the alley behind the building. 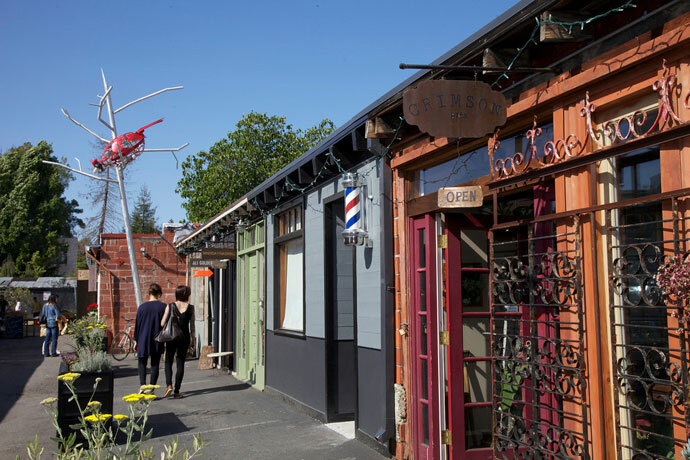 Actual alley or not, the great success of Temescal Alley with small, hip businesses suggests a possible healthy future for the Village. 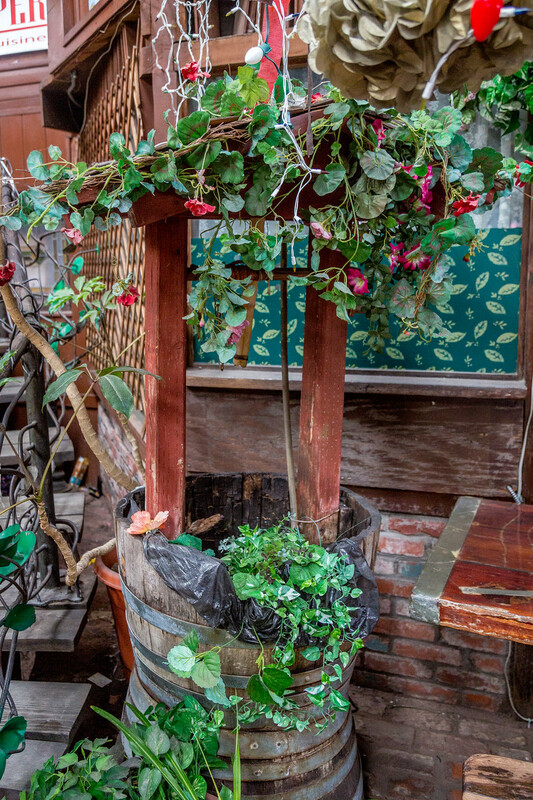 And speaking of the alley – wow – an underused resource. 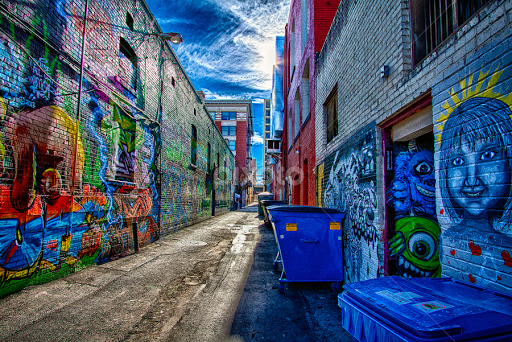 Why not something like Freak Alley in Boise? Why not a changing canvas for murals? Why not something creative with plants? Outdoor seating for the restaurants? Something???? Duly noted. What about the post as a whole? 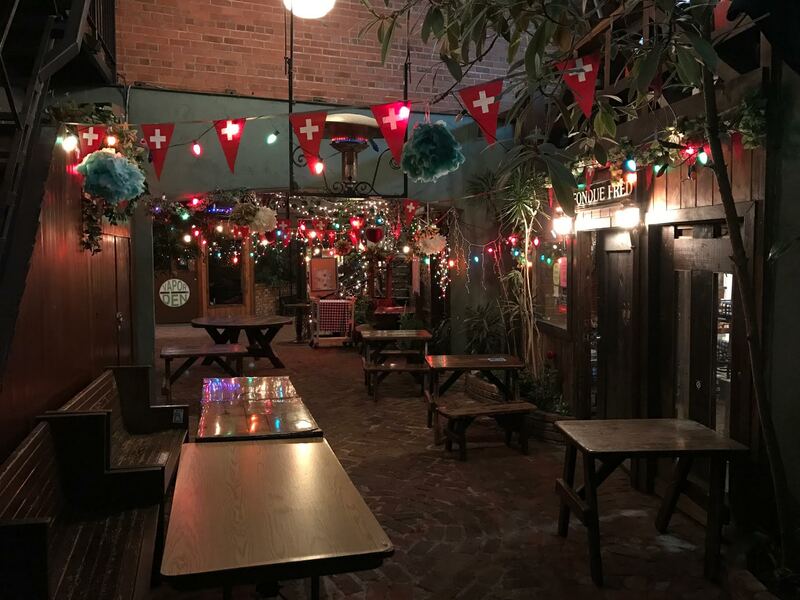 A great post and an important reminder that if we don’t keep what is special about this place we’re going to cookie cutter our way into Walnut Creek East. I used to walk by here every day (or so) when I lived nearby in 1975-76. 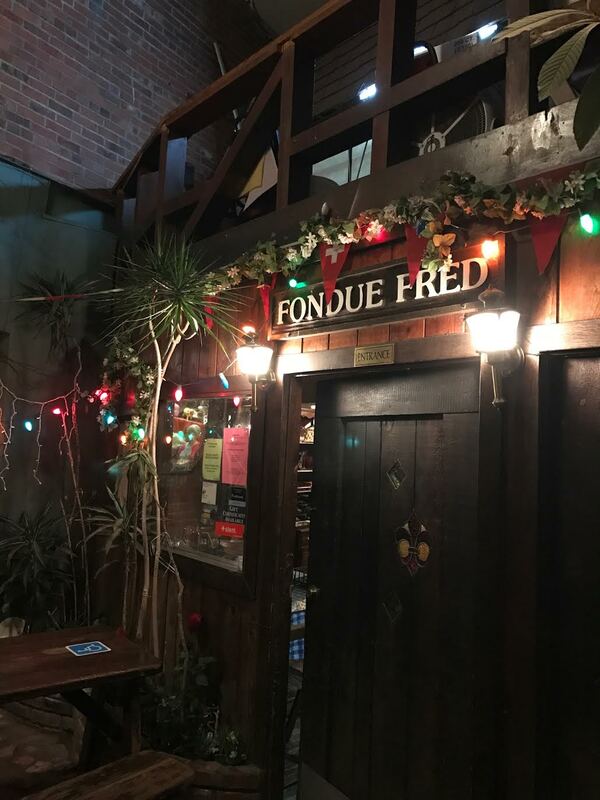 I am sure I have eaten at Fondue Fred’s. So where do things stand with the Village now? 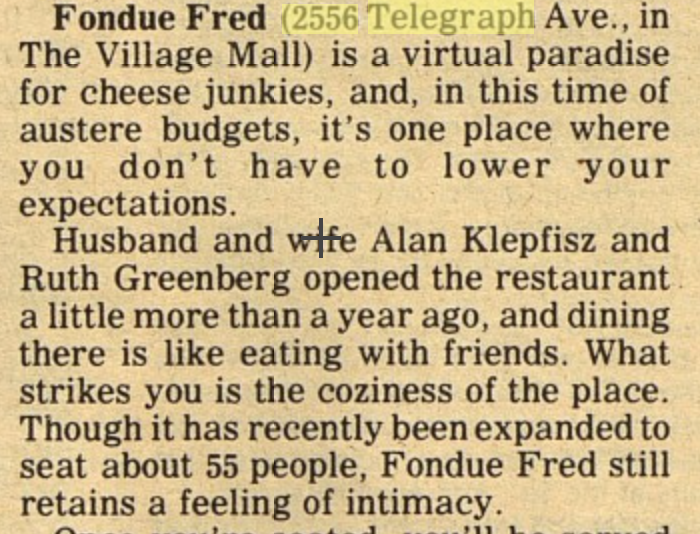 Funny, but I lived in Berkeley from1969 to about 1974 and I don’t remember this place at all! 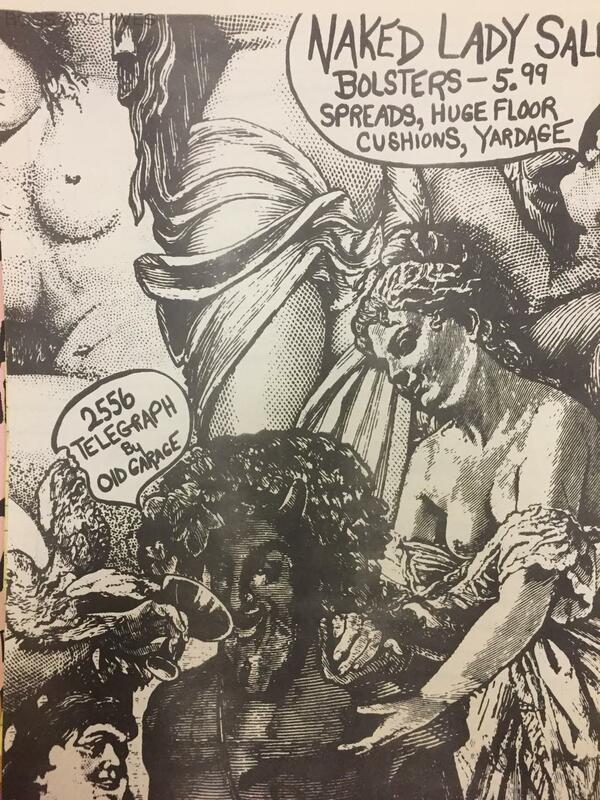 You say it dates to the early seventies. I can’t figure out just where it could have been. The Village looks like a fun and interesting place. Thanks for posting the photos, etc. I wanted to go to the Federation Trading Post in particular but am unable to because I was told that it is not wheelchair accessible. What a shame! 1974-1978 were the times I was in Berkeley the most and I very clearly remember the Village although, at that time, I didn’t know that’s what it was called. My favorite shop there was the Federation Trading Post. It’s been a very long time since I lived in Berkeley but I still remember that little mall (among many other things) as the kind of thing that gave Berkeley its truly unique flavor and if that little mall gets torn down then a big part of the flavor of Post-Telegraph will be gone, forever. I lined up there with many other local kids to see Darth Vader in 1979. (The actor who wore the costume in the movie, not James Earl Jones).